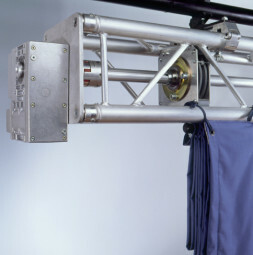 STRATUS is a motor-operated curtain system for vertically lifting curtains. Perfect for lifting main curtains, design curtains, stage maskings or even used for room dividers. The system is available in different assemblies and vertical opening styles such as flat or waterfall style curtains.